The Amazon Books editors love writing about the books that have found a special place on our shelves. But we also spend a great deal of time talking amongst ourselves about these top-notch books, as well as debate why some books that arrived in our hands with high hopes didn't meet our expectations once we cracked open the pages. So we decided to make a podcast! 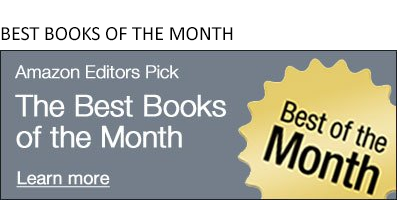 Most episodes of the Amazon Book Review Podcasts will feature a spirited roundtable discussion on books and book-related topics close to our hearts, followed by an interview with a remarkable author. So take a listen—you might just find your next literary love. 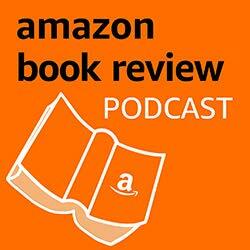 And subscribe to the Amazon Book Review Podcast on iTunes or TuneIn to learn about books that will stick with you long after you have flipped the final page. The two-time Academy Award-winner visited our offices to talk about her moving memoir, In Pieces. In which we embarrass ourselves mispronouncing author names while talking about the best books of February, and a conversation with Stephanie Land, author of Maid: Hard Work, Low Pay, and a Mother's Will to Survive. The Amazon Books editors look forward to a new year of reading, and Seira Wilson talks to chef Magnus Nilsson about his latest kitchen opus, The Nordic Baking Book. We recap a thrilling year for thrillers, and Seira Wilson talks to Markus Zusak about Bridge of Clay, his long-awaited follow-up to The Book Thief. 12 memoirs and biographies that made a big impact on us this year, and we chat with Liane Moriarty about her newest bestselling novel as well as season 2 of HBO's Big Little Lies. We reveal how we picked the best books of 2018, plus Erin Kodicek interviews Educated author Tara Westover in front of a live audience at Amazon's Seattle campus. Great and not-so-great leaps from book to film. Books that made us laugh out loud in public...and shed noisy tears, too. We also sit down with Kristin Hannah, author of The Nightingale and The Great Alone.